Award winning photographer Robert A. Boyd opened his photography studio in 1995. He soon found himself photographing clients all around the world. Having already won numerous other awards including the coveted Kodak Gallery Award, Fuji Masterpiece Awards, and many more, Robert received the 2004 Gold Level Photographer of the Year Award from the Professional Photographers of America. Having reached the top in portrait photography Robert stopped competing and turned his focus to his real love of Fine Art photography. Robert is also renown for his knowledge and expertise in giclee printing and is a sought after consultant for other artists. Currently, Robert is focused on expanding his portfolio and spending time with his wife Eleah and their 5 children. While on site for Lunch and Learn, Bob will share his stunning Temple images. His prints can range from a 5 x 5 inch framed giclee to a 10 foot mural! Born and raised in southern New Mexico, Ken Harris received a BFA degree in Graphic Design from Brigham Young University and a Master of Arts degree from Western Oregon University. Ken was an artist at American Greeting’s World Headquarters in Cleveland Ohio for 12 years. He owns and operates a decorative painting business specializing in murals and specialty interior finishes. This work feeds his family but his love for plein air painting feeds his soul. Ken lives in the St. George area with his lovely wife Jan.
Friday, September 30 from 12-9:00 p.m.
Saturday, October 1 from 12-2:00 p.m. and 4-9:00 p.m. The Treasures of the Collection Open House will feature historical documents and artifacts from the early Relief Society. Come enjoy a rare and unique display of historical items from the archives of the Church History Library. View seldom seen historic books, photographs, manuscripts, journals, and minutes relating to the history of The Church of Jesus Christ of Latter-day Saints. Admission is free, and no tickets are needed. Call 801-240-5696 for more information. Award-winning musicians Jessica and Katelyn Lyons are among the nation’s most talented young performers. Jessica (age 16) and Katelyn (age 14) play both violin and piano. Their performance credentials include venues in some of the world’s great music centers, including New York, Philadelphia, France, and Russia. Jessica studies with Victor Danchenko and Katelyn studies with Elisabeth Adkins. They currently play in the prestigious American Youth Philharmonic Orchestra and the Kennedy Center Youth Fellowship Quintet. Spanish Night of Music & Inspiration will be presented by the missionaries of the Washington D.C. North Mission. Through musical numbers and inspirational thoughts, the missionaries will share their talents and testimonies strengthening members as well as investigators. This evening's theme will be “Nearer My God to Thee”, under the direction of Sister Marcy. Theme: "We Are That We Might Have Joy"
Join singles from all over Southern California and beyond for our annual conference! Join us to be inspired, informed, serve AND just plain have fun! Our conference agenda includes a temple visit, workshops, dances, and more. Keynote speaker is Robert L. Millet, and Spanish lanugage translation will be available for most segments, in addition to Spanish language presenters. 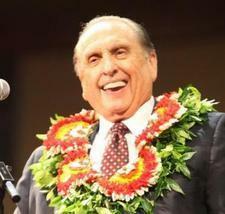 For more details, check out the website: www.ldssinglesventuraregion.com.